This year’s AIAA Aviation Forum is at the Hilton Anatole Dallas, Texas. Pointwise will have staff at the conference presenting papers in technical sessions, demonstrating software and answering technical questions in the exhibit hall We will also be hosting a reception. Hope to see you at any and all of these activities. Pointwise is celebrating our 25th anniversary with a reception at AIAA Aviation Forum 2019. Enjoy drinks and hors d’oeuvres while talking to the Pointwise crew. Whether you want to corner a support engineer for some inside technical tricks, share your throw-back stories of the good ol’ days, or just kick back and relax, this will be the place to be. John Chawner, Pointwise, Inc.; Nigel Taylor, MBDA UK Ltd. This X-38 spaceplane was meshed with hexahedra in the boundary layer and tetrahedra in the farfield. Since its publication in 2014, the CFD Vision 2030 Study has become a touchstone against which CFD organizations of all types have measured their tools and techniques and set aspirations for their practices and processes. The study’s authors identified five classes of impediments that would have to be overcome in the years between 2014 and 2030 to achieve the vision. Geometry modeling and mesh generation were cited as major, contributing factors to those impediments. This presentation assesses progress in geometry modeling and mesh generation in the five years since the study’s publication and imagines how further progress in those areas can make geometry and meshing invisible to the CFD practitioner. Crinkle cut near wing-tip span station of ONERA M6 case showing high order nodes and surface curvature. In the presentation, he explains how linear hybrid unstructured meshes are elevated to mixed-order meshes in response to geometry curvature. The linear meshes are elevated to quadratic, cubic or quartic degree on an element-by-element basis in regions of high geometry curvature. Details of the mesh elevation and smoothing process are described. Several 3-D examples are included that demonstrate the effectiveness of the method to produce high quality mixed-order meshes. 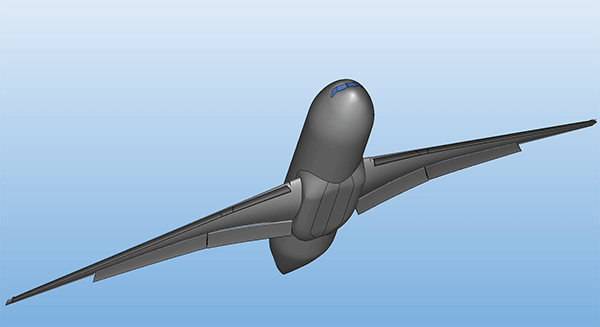 The High Lift Common Research Model Revision 2 (HL-CRM Rev 2) geometry model was used in the creation of Class 8.5 and 10.5 meshes for the Second Geometry and Mesh Generation Workshop. The presentation is about the Class 10.5 (31 billion cells) resolution mesh that workshop participants were challenged to create on the HL-CRM Rev2 geometry model. 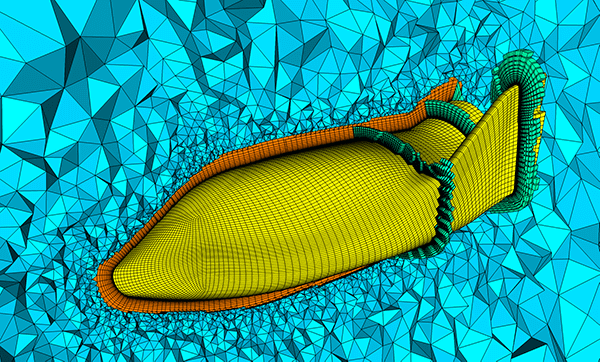 Designed to break CAE tools and processes, this case enabled participants to explore what limitations and roadblocks currently prevent mesh generators from creating exascale resolution meshes. Lessons learned from participant data will be presented to help the meshing community address these bottlenecks before the year 2030 when a Class 10.5 resolution is projected to be considered a medium resolution mesh. 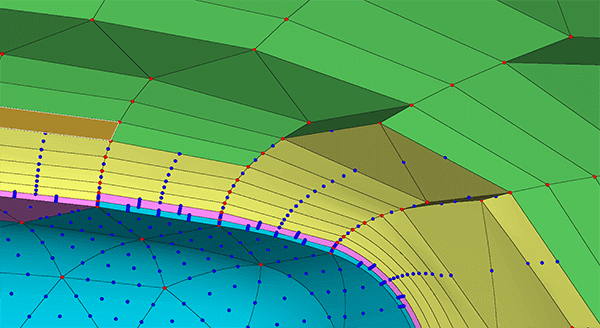 Learn about the HL-CRM Rev 2 remeshing effort workshop participants also undertook to document and understand how meshing processes, resource usage, and timings changed since the first Geometry and Mesh Generation Workshop. Participant data will be shared in a discussion on how meshing this benchmark geometry evolved in the time between workshops. For the AIAA full presentation schedule, go to the Technical Program/Detailed Agenda page on the AIAA Aviation Forum. Come by the Pointwise booth (#314) anytime during exhibit hours to meet some of the staff from Pointwise.